Animation Production Days (APD) is a business platform for the German and international animation industry. In effective one-on-one meetings, APD brings together financing, distribution and co-production partners for animation projects and offers focused debates and industry insights at the APD conference. Each year more than 170 participants negotiate cooperations for 45 innovative animation projects for all media platforms. The projects presented at APD show a high success rate. More than one third of all projects presented at APD in recent years were able to acquire important financing elements and have been successfully produced. APD is hosted by the Stuttgart Festival of Animated Film (ITFS) and FMX, Conference on Animation, Effects, Games and Immersive Media, both major events in their respective fields that take place during the same week in spring. It is organised by the Film- and Medienfestival gGmbH and Filmakademie Baden-Wuerttemberg. Which type of projects can be submitted? The APD jury selects 45 projects each year for participation in APD. At APD 2018, 48 highly promising projects with a total production value of around 170 million Euros were selected by the jury from a total of 71 applications to participate in APD. 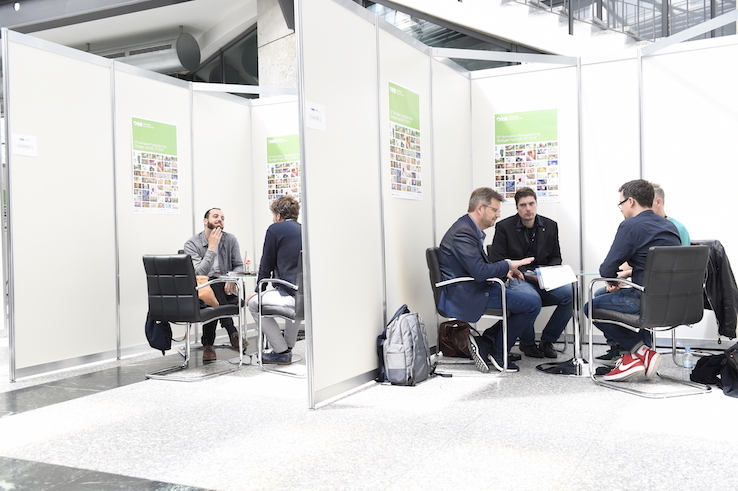 In over 700 pre-planned one-to-one meetings the participating producers, studios, world sales agents, representatives from broadcasters, funders and investors discussed the new material. The range of projects extended from TV series, films and games for children to comedy and science fiction for teenage and adult audiences.